Leaving your dog at a doggie day care/boarding facility can be difficult, especially if you have never left your dog before. But when you find the right pet overnight boarding facility, you can feel confident and happy that your dog is in good hands. If you want to enjoy a guilt-free vacation or business trip, make sure that you choose the best overnight care where your dog can be comfortable and happy. Not sure what to look for? Take a look below at several beneficial tips to help you find the right pet boarding for your dog. Whether it’s your first time taking your dog to a pet care facility or not, it’s always a good idea to tour it and ask the staff questions. If you know you are going to be traveling during the holidays, make sure you plan a time to look at it beforehand. An even better idea is to test run the facility by having your dog stay at the doggie day care for a couple of days to see how they do. Does the boarding facility have playtime where your dog can socialize and get exercise? Talk with the staff about what your dog will be doing during the day so you can determine if it’s a right fit. 3. What Amenities Do They Offer? Some dogs may have difficulty adjusting to a new environment. So if your dog is prone to anxiety, you will want to make sure that the dog-boarding facility has enough room for your dog to roam around and get rid of extra energy to reduce anxiety. Also check if they provide special treats and more. 4. Is It A Healthy Environment? When you tour the facility look around to see if it’s a clean environment. This is beneficial for your dog’s health. Also, most doggie day cares and overnight stay facilities require all dogs to have updated vaccines to protect the health of the other dogs. Another great option would be a pet grooming service, especially right before you pick up your dog, so that they will be fresh and clean when you get back home. 5. What Are The Staff Hours? If your dog is staying overnight, it is helpful to know if there will be a staff member who stays 24 hours a day. Your pet shouldn’t be left alone, so knowing that there is 24-hour staff will be a relief. Before bringing your dog to the overnight pet boarding, make sure that he or she is well-socialized and knows basic commands. Since your dog will be playing with other dogs, it’s important that they are social. However, if they do not play well with others, there may be special treatment that they can get, such as a one-on-one trainer playing with them a few times a day without other dogs around. 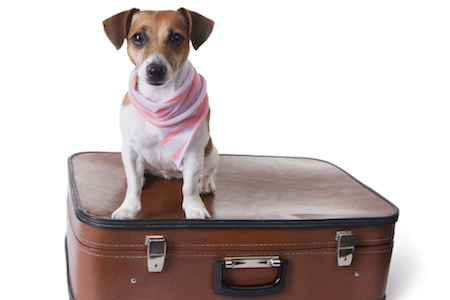 We hope these tips help you find the right pet boarding facility for your dog. As always, we will happily answer any questions you may have about doggie day care and overnight stays.